Yesterday afternoon I saw sun again for the first time since last Thursday. It had been overcast, foggy, and rainy for days before those three hours last Thursday, and the weather returned to that pattern for the following days until yesterday afternoon arrived. I had the evening off so after leaving the Country Store I went home, and because it was actually too hot to go hiking, I spent the rest of the daylight napping and reading Little, Big by John Crowley in the sun. We got 10 inches of rain in June and had many more dark days than sunny. Normally this type of weather would cause me to lose my mind. However I managed pretty well last month (hurray, it’s now JULY!). I simply decided to take on a “Seattle” mindset – by which, most unfairly perhaps, I mean this: instead of hoping for sun I just assumed there wouldn’t be any and got on with my life, drank LOTS of coffee, and lost all guilt over staying inside reading and watching movies all day. 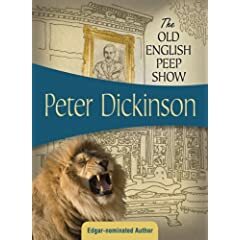 Aside from all the things I’ve already posted about here, I also finally tracked down one of Peter Dickinson’s earlier novels – The Old English Peep Show – a mystery set at an old country estate where poor Inspector Pibble is up against aging Generals/War Heros, lions, and the dark force behind profitable enterprise. My father has always told me to look for Dickinson’s old mysteries, but until unearthing this one in the basement collection at Jesup, I was missing out! A fast, fun read with well drawn characters, and lots of odd quirks. The movie was really interesting too. It was extremely close to the book, and as such was very satisfying. It was made in 1980 and was PBS’s first direct-to-TV production. The budget was small and the scope of the film large, but for what they had to work with I think the result was excellent. My viewing enjoyment was somewhat hampered, however, by a terrible transfer to DVD. There was large degree of “ghosting” which was distracting. Apparently this is because PBS didn’t save a copy of the production after the rights to rebroadcast expired! It was too expensive to pay for all the rights they needed to continue broadcasting. The home video release was remastered from a video tape of the original broadcast, and I assume that’s where the DVD came from too. Anyway, I’ll stop boring you with the details! 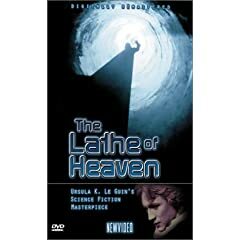 I definitely recommend the book, and in spite of it all recommend the movie to anyone who wants to see Le Guin’s work accurately reproduced on screen. 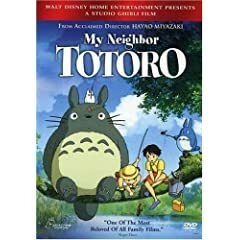 My final fond memory from this past rainy June is waking up late on a Saturday and tumbling out of bed, only to curl up in a blanket and watch My Neighbor Totoro and laugh and cry and in general thoroughly enjoy that dreary, lovely morning. 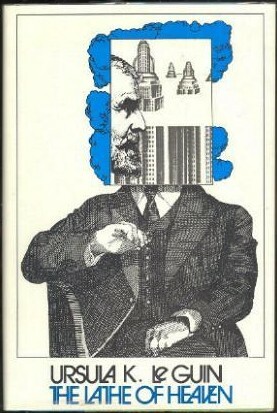 This is a new Peter Dickinson to me. Can you snag it for me and send it to Kennebunk? I love Totoro too! That is a great memory. I remember watching it repeatedly with my kids just a few years ago. Happy reading!